Africa’s carriers’ carrier will be attending the largest carrier event in the Middle East, set to take place from March 4th to 7th, 2019. The Grand Hyatt Dubai in the United Arab Emirates will be the venue for a gathering of 1700 senior-level delegates from over 475 companies worldwide. 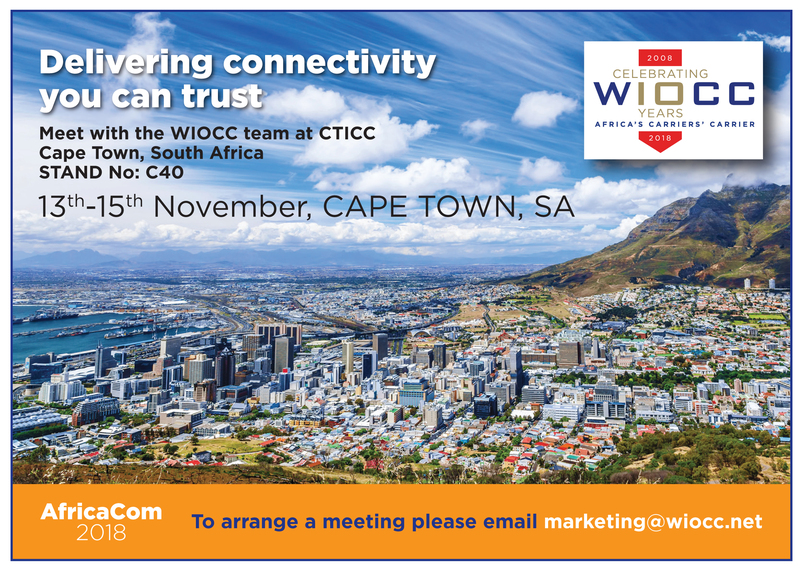 The WIOCC team at the event will be led by Chris Wood, WIOCC CEO together with Ryan Sher – Chief Operations Officer, Mike Last – Chief Marketing Officer & VP International Business Development, Rob Irvin – Director, Products & Bid Management and Michael Veldhuis – International Sales. On March 4th, Chris Wood will join a panel discussing how data centres are reshaping traditional sub-sea cable termination. From 11.30 am, Chris will debate the topic together with Keith Shaw, Business Development – Equinix, Mike Hollands – Director, Market Development – InterXion, John Melick, Chairman – Djibouti Data Center, Omar Hassan Al Zaabi, VP, Product & Capacity Management – Etisalat as well as Eric Handa, CEO – APTelecom, a WIOCC Partner company. If you’ll be at AfricaCom in Cape Town on November 13th -15th, please visit us on our stand –number C40 – at the Cape Town International Convention Centre, Cape Town for partnership opportunities. The WIOCC team, led by our CEO, Chris Wood, will be ready to tackle any complex challenge and deliver simple solutions – whether you are an African or international telco, an ISP, an OTT player or a Content Provider. WIOCC is at the forefront of connecting Africa to the world. We work hard to understand fully the needs of each client, then draw upon our depth of experience, expertise, unique network and breadth of service options to develop bespoke solutions that precisely meet their requirements. If you are looking for affordable, reliable, managed connectivity, then come and meet us and find out how we can develop a bespoke solution just for you. 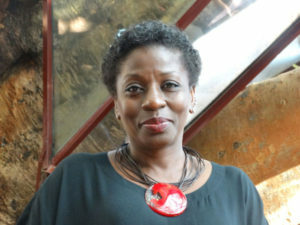 On Monday 12th November 2018 at the Africa 2018 GCCM/ CC- Submarine Summit, at the Table Bay Hotel in Cape Town, Nikki Popoola, WIOCC’s Director of Sales Africa, will be part of an Executive Round-table Panel Discussions Session discussing‘’. What are today’s and future data centres to meet subsea cable operators demand, and how can we address it? Can you explain to the audience the relationship between Subsea cable operators and data centres, and the importance on it? How does the landscape look now and are there any new projects coming in the next 5 to 10 years? What role does the Internet Exchanges and Peering play, and help to generate new value-added services to drive growth and maximize revenues? How do we meet today’s Challenges and what are the Solutions to provide? WIOCC, Delivering Connectivity You Can Trust. “Eight years ago, a typical client requirement was for 155 Megabits per second; today, 100 Gigabits per second is not unusual”, says Chris Wood, CEO of leading capacity wholesaler WIOCC. Increasing adoption of, and reliance upon, bandwidth-intensive applications by enterprise and domestic clients is driving capacity demand amongst operators – particularly those serving the banking and trading communities – content providers, Internet Service Providers (ISPs) and Wireless ISPs (WISPs), typically starting at 10Gbps, up to 100Gbps and beyond. As well as delivery of the bandwidth itself, network latency, reliability and cost are all critical in the provision of connectivity. Achieving the required network scale, quality and reach demands a significant and sustained programme of investment in metropolitan, national and international infrastructure. For example, capacity wholesaler WIOCC has invested over US$300million in its unique network footprint, which is scaled to meet the ongoing capacity needs of even the most demanding of wholesale clients. The network comprises more than 55,000km of African terrestrial fibre linked seamlessly with capacity on multiple submarine cable systems, providing access to much of sub-Saharan African, including the ‘Golden Triangle’ of Nigeria, Kenya and South Africa. Addressing connectivity requirements in Africa can be complex, typically requiring interaction with multiple service providers. A simpler solution is to use an expert Africa supplier with the expertise and relationships to deliver end-to-end managed connectivity solutions – a single point of contact, one contract and one bill. WIOCC is such an organization: a leading African carriers’ carrier focused on implementing tailored solutions for its wholesale client base. It is playing a key role in the arrival of international carriers, ISPs and over-the-top players into African markets, with these arrivals triggering a significant migration of content, principally from Europe to Africa, to improve service performance for consumers in Africa. With this has come the need for more localised services such as IP Transit, which provides ISPs with connectivity to global internet content. WIOCC is also increasingly supporting client migration from legacy SDH networks to new-generation, high-capacity, low-delay Layer-0 Optical Transport Network (OTN) technologies and pure Ethernet at the Metro level, enabling seamless integration of international connectivity with extensive local presence. With its 40-PoP Johannesburg/Pretoria Metro, extensive South African network and strategic investments in international submarine cables, WIOCC enables ISPs, WISPs and operators to address the needs of enterprise clients in Jo’burg and Pretoria seeking cost-effective, high-quality internet and point-to-point connectivity. Are you are an ISP, WISP or Operator looking to provide your customers with reliable, cost-effective, high-quality internet connectivity? Come and speak with one of the WIOCC team on Stand No. 4 at MyBroadband Conference on the 18th October 2018 at the Gallagher Convention Centre, Midrand, South Africa, and find out how we can develop a bespoke solution just for you. MyBroadband Conference & Expo is the premier event of its kind in South Africa, attracting IT executives and delegates from around the country. 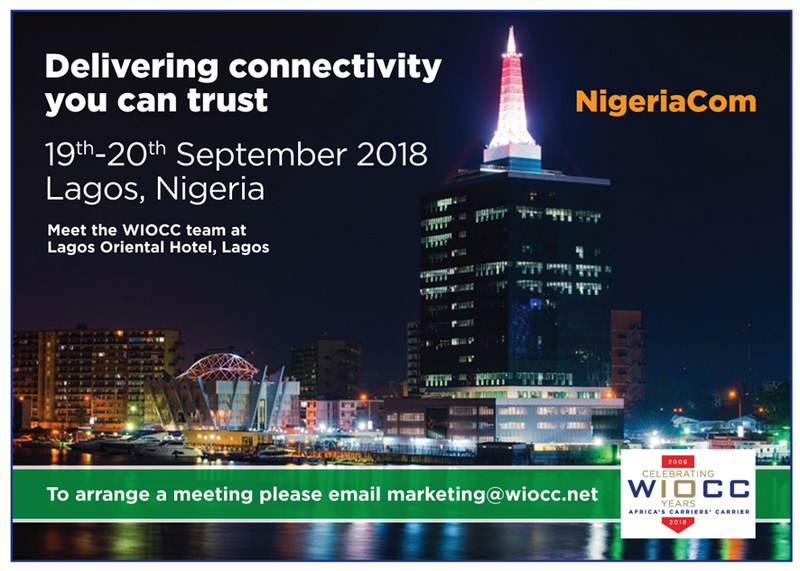 NigeriaCom is here and WIOCC, Africa’s Carriers’ Carrier, will be in attendance and participating at the event. The two-day event will take place at Lagos Oriental Hotel, Lagos, Nigeria on the 19th – 20th September 2018. If you are an African or international telco, an ISP, an OTT player or a Content Provider looking for affordable, reliable, managed connectivity, visit our stand number 0 for partnership opportunities. To set up a meeting with the WIOCC team, please contact marketing@wiocc.net . WIOCC, Africa’s Carriers’ Carrier, will attend Capacity Africa taking place for the first time in Rwanda, Kigali from the 5th of September 2018. Capacity Africa is the wholesale telecoms event which connects senior-level executives from across the continent with their international partners and companies looking to invest in Africa. 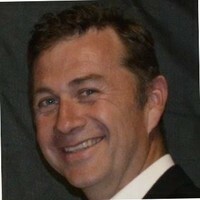 Darren Bedford, Chief Development Officer- WIOCC, will be speaking in a panel discussion on ‘Africa’s submarine landscape – analysing the new wave of cable investment’ on Thursday, 6th September at 9.45 a.m.
WIOCC will be well represented by an expert team ready to work with you to solve your complex connectivity challenges . Darren Bedford, Chief Development Officer of Africa’s carriers’ carrier WIOCC, will be part of a roundtable discussing ‘The role of Datacenters Strategies’ at GCCM, which takes place today, 26th and tomorrow 27th June 2018 at the InterContinental Hotel in Singapore. Visit us at booth 5G2 -12, to see the award-winning carrier for wholesale in Africa. 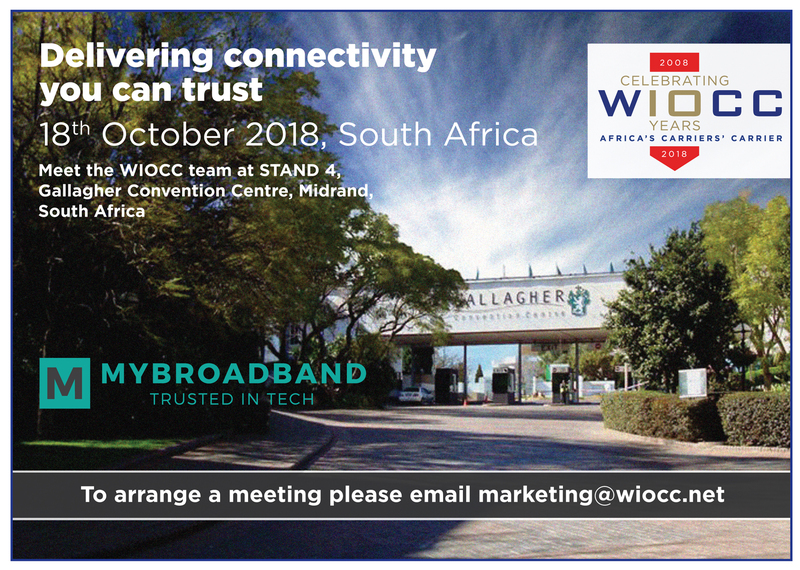 Come discuss partnerships opportunities with WIOCC team for access to the most extensive fibre-optic network in Africa and tailored end-to-end connectivity solutions.